It's still raining. It's still cold. I almost got blown away today...blah blah blah! Chloe Myrtle Ivory Sunglasses - I have these in pale pink and I need them in this colour way too. This is non-negotiable! I only wish I'd bought them in the sale in the Winter when they were £78!!! Dainty Converse - the first of two pairs I'm lusting after! The grey ones I bought in the sale on ASOS I've fallen in love with and now I feel like I need them in every colour way! Sophie Hulme Tote Bag - this version is now discontinued but I'm currently hunting down a pre-loved one online! I'll let you know if I find one!! Kate Spade Crockery - I'm polka dot crazy at the moment and Kate Spade does a good line in polka dots. Hooked. Smith & Cult Nail Polish in 'The Graduate' - loved Stockholm syndrome and despite the small brush I'm thinking that this would be a great Spring colour! Nars Impassioned Blush - I'm after a typical Spring pink and I think this might be it! If anyone has any other suggestions for a soft pink blush, let me know! Sidenote - why does my Macbook always want to change 'Nars' to 'Mars'?! ha! Manolo Blahnik Shoes - Grey suede shoes, I feel like I'm missing something like this in my shoe collection and this is a perfect height, not too high! Dainty Converse (again) - I think I've proven the point I made above! These are leather - oh so different! haha! Sophia Webster Flats - Pretty, silver, pointed flats....um yes please! :) These would pair perfectly with white jeans. I'm feeling them! 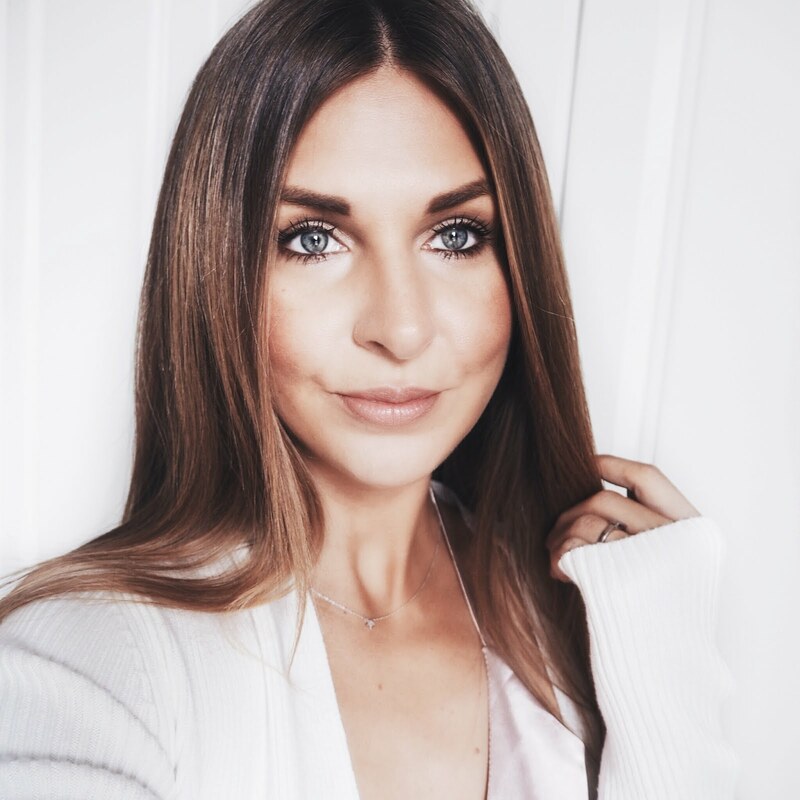 Acne Grey Cardigan - it doesn't have to be Acne specifically but I am lusting after a pale grey oversized cardigan to throw on whilst the weather isn't 'quite' Summer but isn't really coat weather either. Kate Spade File - I'm in an organising phase at the moment and want something to store all my important documents in! The fact it's pretty means I'll be more inclined to use it!